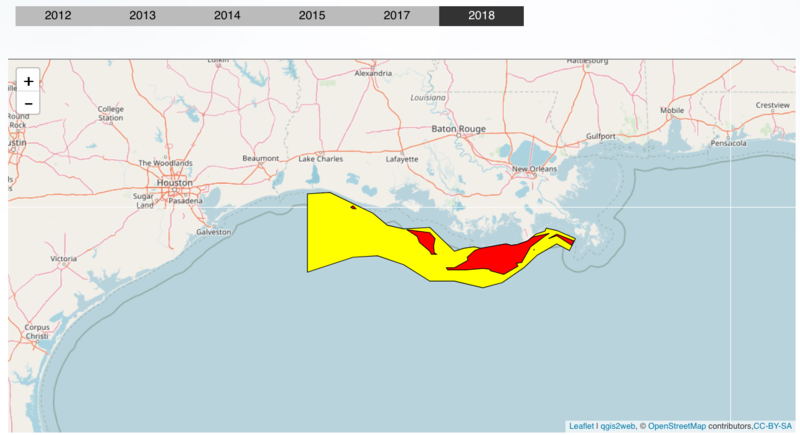 GULFPORT — NOAA is predicting a dead zone in the Gulf of Mexico along the coasts of Louisiana and Texas this summer larger than any on record, based on the amount of pollution coming down the Mississippi River this spring. The dead zone has been in existence since the 1970s. It is caused when farm fertilizer and animal waste, washed into the river and flow downstream into the Gulf. The nutrients feed algae that overgrow, and use up oxygen in the water at the bottom of the Gulf. Starved for oxygen, marine animals either move or die. It’s an area that has been growing over the years. And federal agencies have made little progress in curbing the amount of nitrogen or phosphorus entering the river. 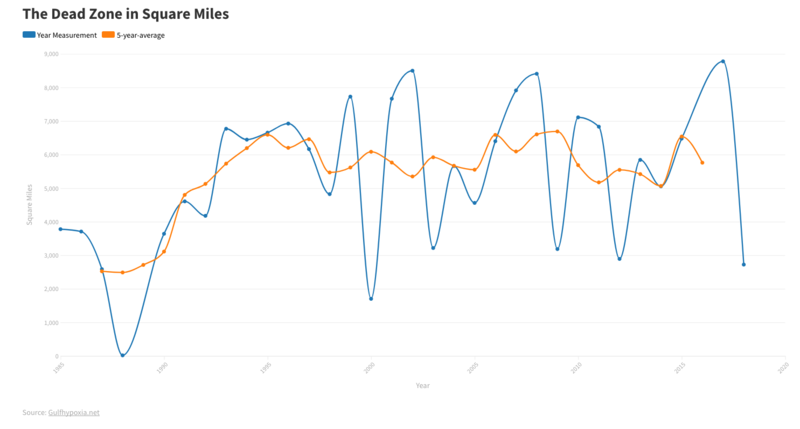 This year, with twice as much nutrient-filled water coming down the Mississippi and Atchafalaya rivers, NOAA is predicting a dead zone the size of New Hampshire or New Jersey — 8,500 to 9,400 square miles along Louisiana and Texas. But this year, with the opening of the Bonnet Carre spillway, the water of the Gulf south of Mississippi is expected to have a dead zone of its own. 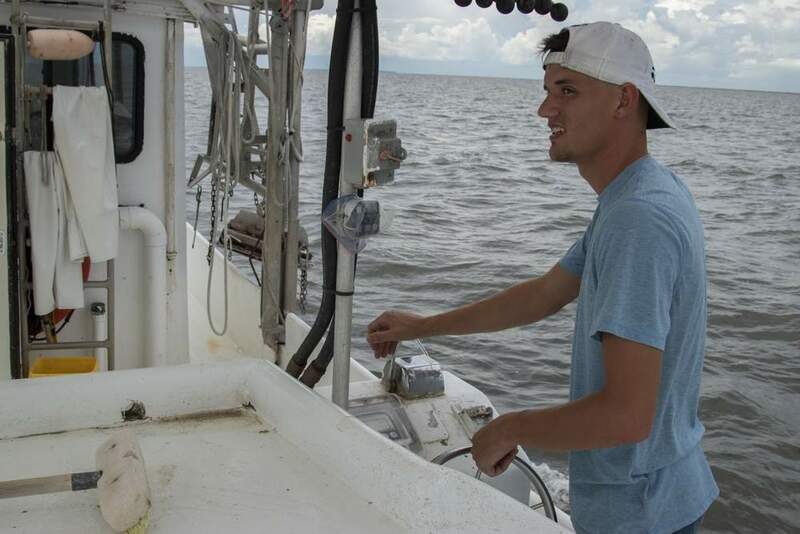 Kevin Dillon, a chemical oceanographer with USM’s Gulf Coast Research Lab, said when the Bonnet Carre was opened in 2008 it created a dead zone larger than Jackson County. It covered 906 square miles south of the barrier islands from Cat to past Dauphin, around the Chandeleurs and into Breton Sound near Louisiana. It lasted from the spring until the end of summer, when hurricanes Gustav and Ike churned up the water and ended it. 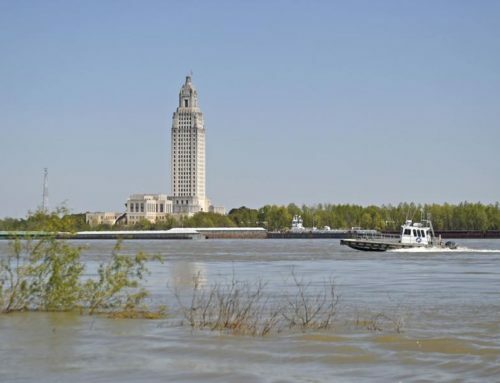 This spring, the Corps of Engineers opened the Bonnet Carre again to relieve river flooding, sending fresh water through Lake Pontchartrain and Lake Borgne to the Mississippi Sound. Dillon said a freshwater layer with nutrients, on top of the salt water, is expected to create a zone similar to the one in 2008. The variable will be the wind and weather. The more the water is stirred up, the better. 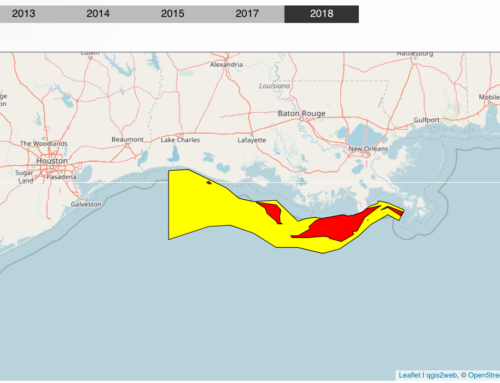 Bill Walker, director of the state Department of Marine Resources, said the big dead zone along Louisiana and Texas gets all the attention and rightfully so, but what’s overlooked is a general problem with oxygen depletion in the northern Gulf. The enormous dead zone forms each summer and threatens commercial and recreational fisheries that contribute more than $1 billion to the Gulf economy, NOAA officials said Tuesday. NOAA won’t know the actual size until late July or early August. The federal agency has been funding investigations into it since 1990. The largest one previously occurred in 2002 and encompassed more than 8,400 square miles. But this year, rivers are estimated to have moved 164,000 metric tons of nitrogen into the northern Gulf, a 35 percent increase over average May nitrogen loads for the past 32 years. 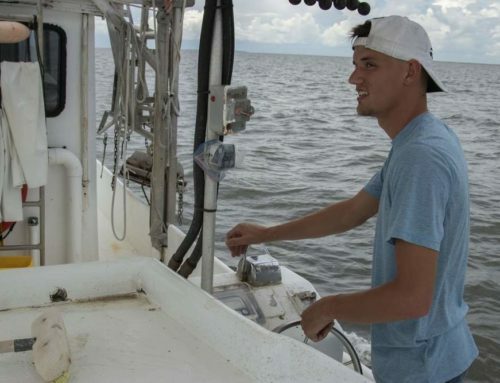 Matt Rota, science and water-policy director for the Gulf Restoration Network, an environmental advocacy group based in New Orleans, said very little progress has been made in reducing the zone. 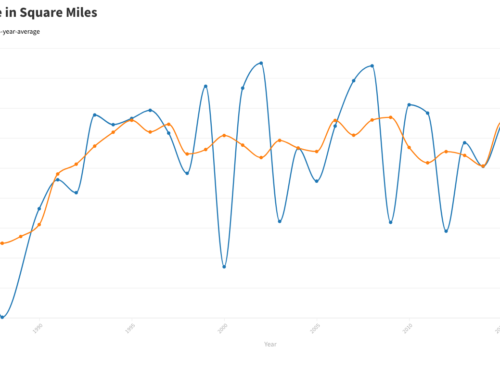 In the 10 years the federal Hypoxia Task Force has been in existence, the dead zone has only gotten bigger. The task force’s action plan relies on voluntary action to limit nutrients in the water. “That’s not going to get us where we want to be in reducing the size,” he said. The USDA has started an initiative in the Mississippi River basin that spends a few million dollars to target farm-conservation practices. “It’s a good start, but it’s not the answer,” he said. 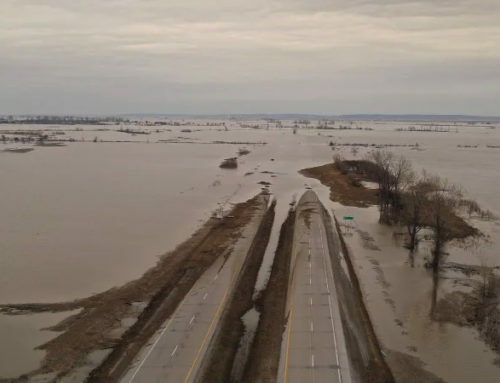 There are no numerical limits placed on the amount of nitrogen or phosphorus allowed in the Mississippi River and waterways that flow into it, he said. 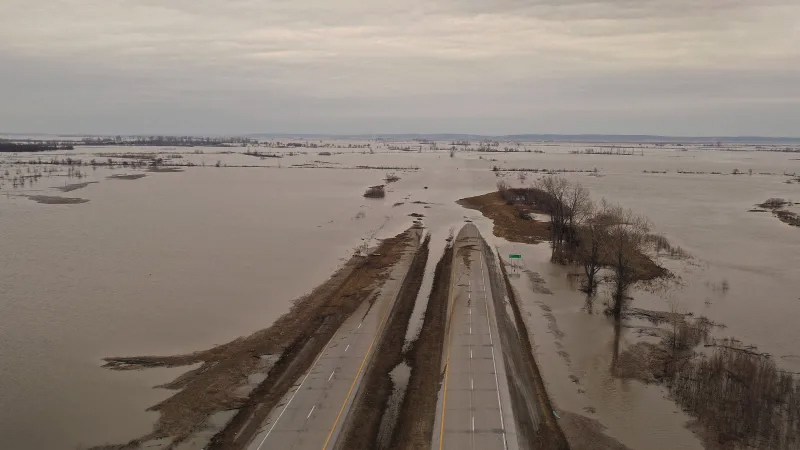 He said plans, time lines, benchmarks and goals are not in place, which prompted the National Academy of Sciences in a recent report on the Clean Water Act to call the Mississippi River an orphan. “No states have stepped up to take responsibility for the pollution in the river,” Rota said. The Sun Herald, Biloxi-Gulfport, Mississippi. Copyright ©2011 Sun Herald. All Rights Reserved.